Now look at the map below to understand why we need to discuss the other side of India. 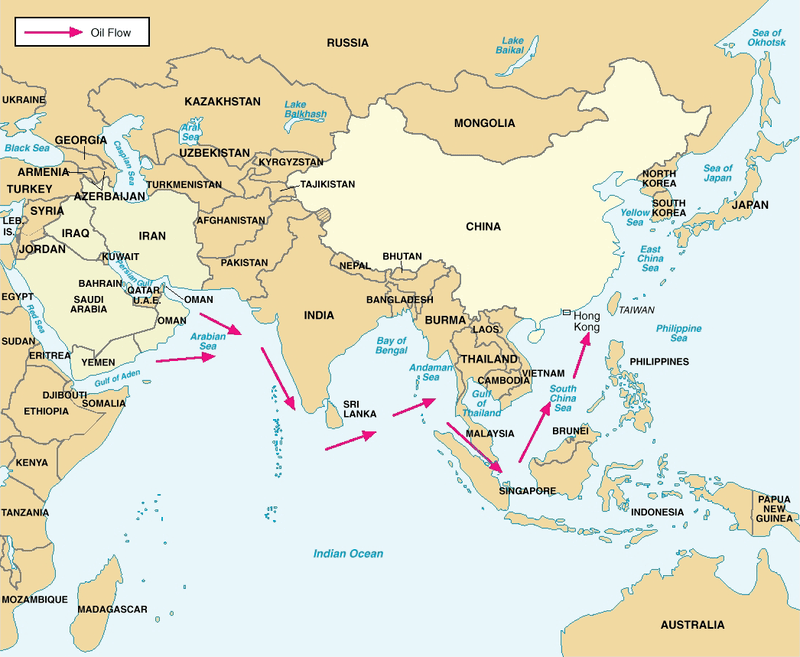 The Bay of Bengal and the Andaman Sea control the entrance of the Malacca Strait, the lifeline for maritime traffic between the Indian Ocean and the entire Asia-Australia region. India is not as far away from the Strait as it appears in the map below. See the dots below the words “Andaman Sea” in the map. They are islands of India that host a naval base of the Indian Navy. They are now being upgraded to a forward air base to better control the entrance of the Strait. Look at the map again and you will notice the strategic location of Myanmar, or Burma as it used to be called. 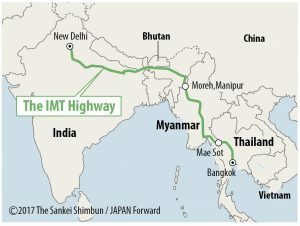 It is the key to a road network that could connect India & the Bay of Bengal to the entire South East Asia. And Myanmar is rich in natural resources. But before you get to a road network, you have to get a sea-based route. After all, water-based transport is much cheaper than building a road network. But isn’t Bangladesh between India & Myanmar? What about Bangladeshi ports? 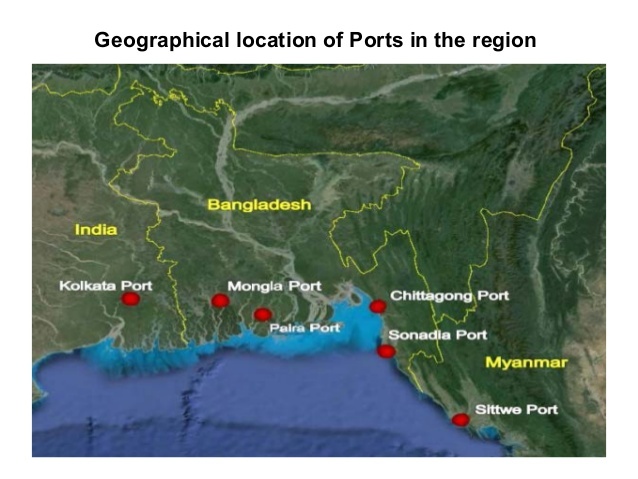 India & Bangladesh signed an agreement in October 2018 to use the Mongla & Chittagong ports for transport of goods between India & Bangladesh. That leads us to the Sittwe port in Myanmar and the recent news. 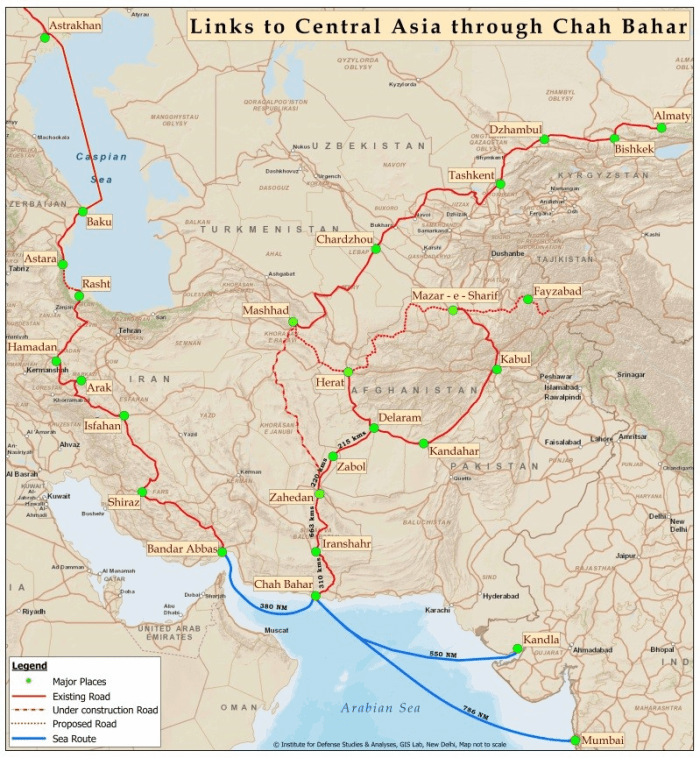 Just like Chabahar port in Iran was built with India’s assistance and is now operated by India, the Sittwe port in Myanmar was built with India’s aid & assistance. India is now set to take over operations of the Sittwe port. 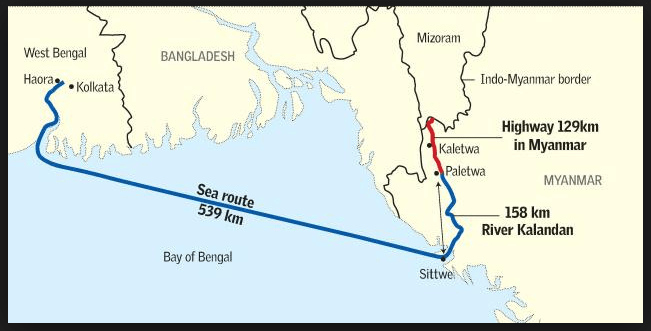 Not only does Sittwe sit atop the Sittwe gas field, it is the key to building a multi-nodal network that connects India’s remote Northeastern states to South East Asia. 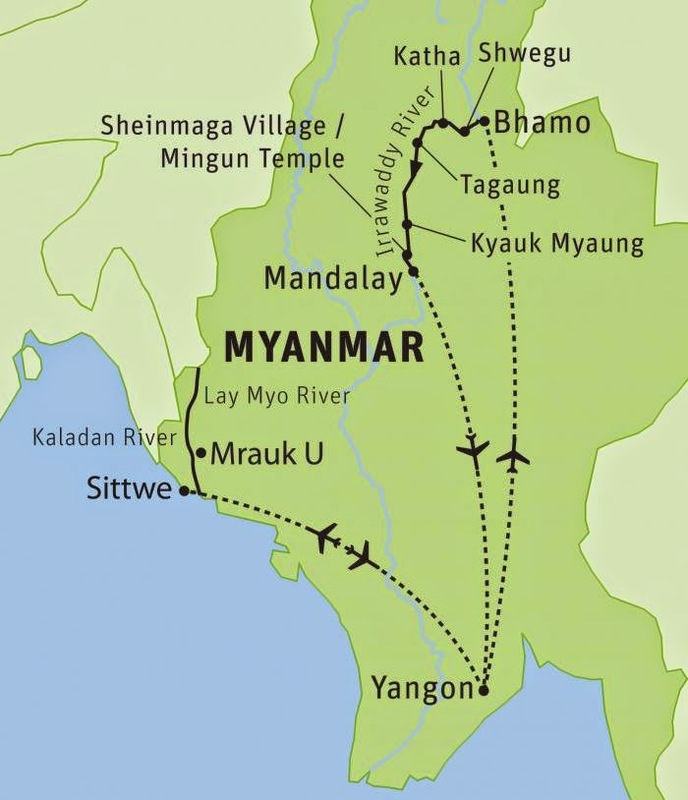 The Kaladan river will be used for water-based transport from Sittwe up to the Myanmar town of Paletwa. A highway will then connect Paletwa to the Indian State of Mizoram. The Sittwe port is equally important for Myanmar. 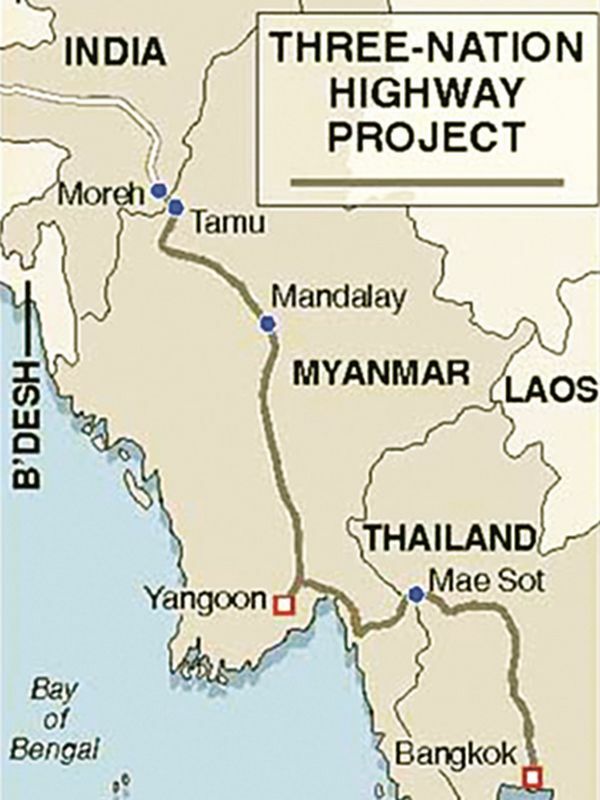 Sittwe also links up to the three-nation highway that is being built from India to Thailand via Myanmar. Look at this from a higher angle. What you see above is a multi-modal, multinational transport network to tie Myanmar and Bangladesh into the Indian Economy and link to the Asean nations. It will greatly accelerate the economic development of India’s remote Northeastern states that border both Chinese-occupied Tibet and Myanmar. By tying Myanmar & Bangladesh into the rapidly growing Indian economy, these two countries do to some extent become a part of India’s security framework in the Indian Ocean, especially in the Bay of Bengal into which the Malacca Strait opens. This is also the region where the 2017 Malabar naval exercise took place between US, Indian & Japanese navies. These annual exercises are to hone & perfect interoperability capabilities of the three navies in the Bay of Bengal. The clip below is a terrific way to understand the importance of these exercises. Then you have this week’s first between the US & Indian Navy. 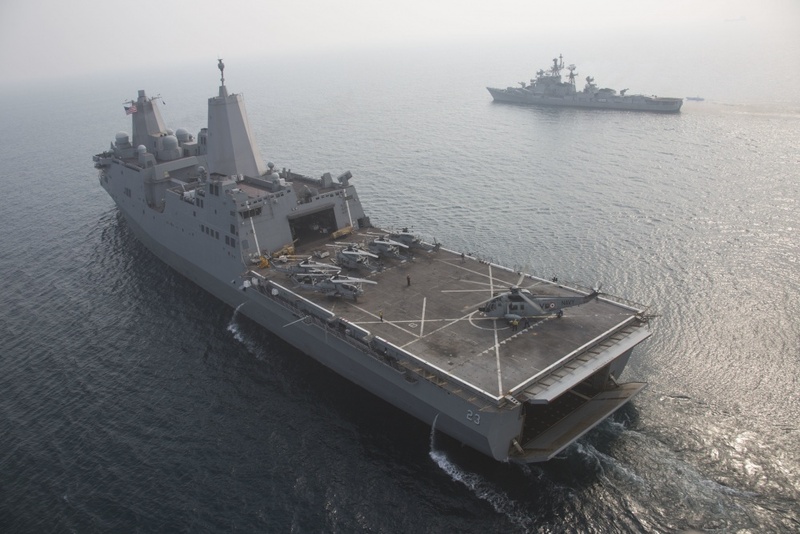 As the US Naval Institute reported, this cross decking took place in the Bay of Bengal near the strategic naval base of Vishakapatnam between the amphibious transport dock USS Anchorage & Indian Navy guided-missile destroyer INS Rajput. Frankly, folks, this is just the beginning. The next 10 years will see a strong partnership between the American & Indian Navies that will make Indo-Pacific a peaceful & prosperous region.